SerialMon - Serial port monitor & sniffer. 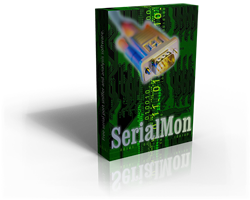 SerialMon is a free RS232 serial port monitor/sniffer software for Windows. SerialMon 1.x Cleanup.exe, Fixes uninstall problem in v1.2-v1.4. Version 2.0 is a major update and will be released soon. SerialMon is free. But feel free to give a donation to support the author. Send bug reports to [email protected]. Send protocol specifications to [email protected].